The error prevents you from playing game. As mentioned in the error, the service failed to initialize and the issue could be with an associated driver. 1] Update Windows. The procedure to update Windows is mentioned here. 2] Disable the anti-virus temporarily. Check if it helps because some anti virus products are known to interfere with this service. 3] Exit Command Prompt and reboot the system. 1] Press Win + R to open the Run window. 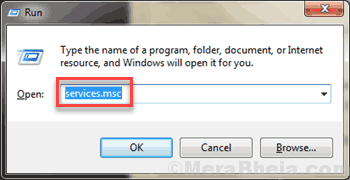 Type the command services.msc and press Enter to open the Service Manager. 2] In the list which is arranged alphabetically, locate the BattlEye service.